The Vermont bookcase will make a sophisticated addition to a home office or study. Part of the luxury furniture range by Daytona, this bookcase is hand-crafted from solid wood with a dark walnut veneer finish. Providing ample storage space, the design features two shelving units on either side of a display cabinet. 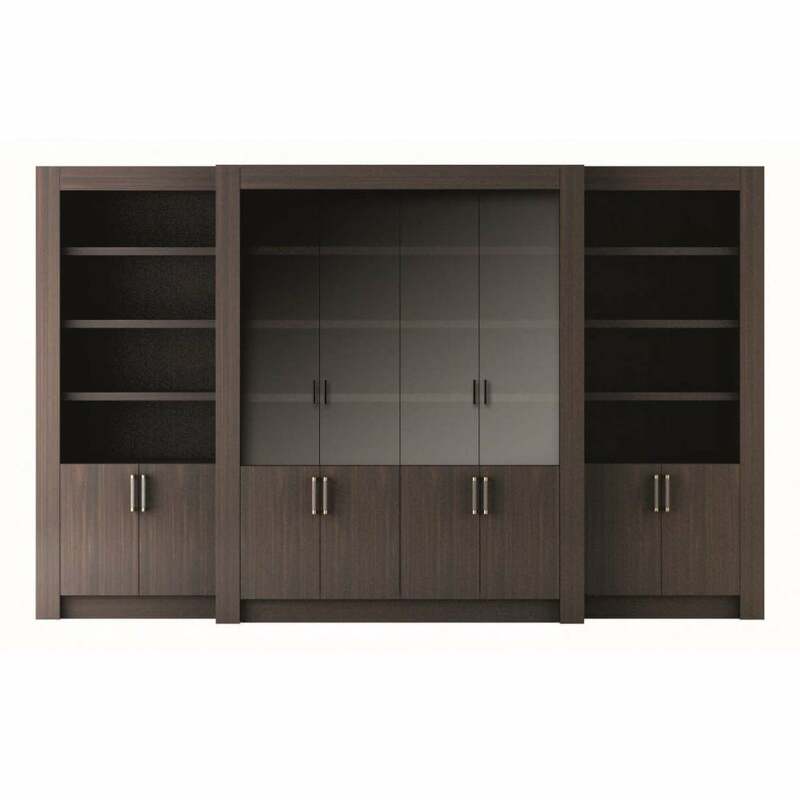 The bookcase doors are completed with elegant smoked glass doors with soft- closing hinges for a luxury feel. Put your own mark on this timeless bookcase by displaying accessories from your trips abroad or filling with photos of your friends and family. For book-lovers Vermont provides the perfect space for showcasing your most treasured books. The base holds cupboards for storing paperwork and filing that you would rather have out of sight. A versatile furniture piece for professionals or avid collectors. Make an enquiry for more information.